A magical environment for fun! Welcome to Riverview Camp for Girls! You’ll be amazed at all you can do as you Enjoy Extraordinary Experiences Everyday! We are just off DeSoto Parkway on top of Lookout Mountain in Mentone , Alabama , and we’re located on beautiful Little River, as well. “This is what I’ve imagined a camp should be like,” parents tell us and you will agree! 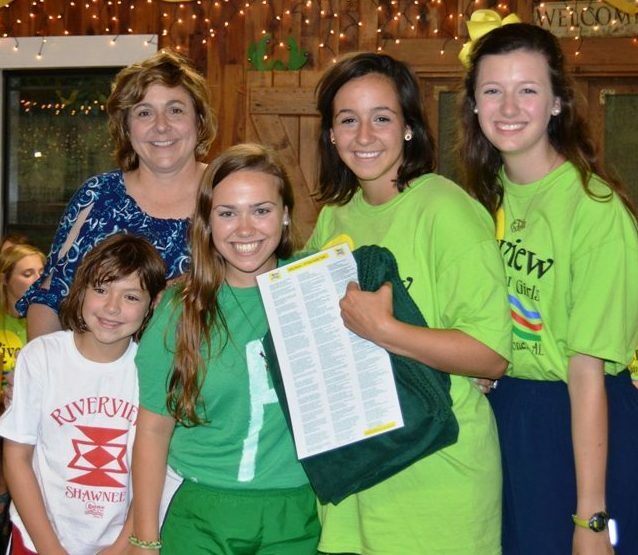 The minute you arrive into camp you are caught up in the excitement of all camp has to offer...and you soon understand why so many girls call Riverview “my camp” long after they have aged out of camp! Camp Riverview ’s location is only 45 minutes South of Chattanooga, TN…also 2 hours from Knoxville , Nashville , Birmingham , and Atlanta ! Recognized as one of the South’s favorite all-around summer camps for girls, Riverview’s Christian emphasis and exciting programs are appreciated by both parents and campers! Riverview offers both one-and two-week camp sessions for girls ages 6 to 16. Dr. Larry and Susan Hooks are the Directors and Owners and have been Camp Directors since 1983. Riverview offers an incredible combination of unique, exhilarating activities in an oasis of peaceful nature. “Peaceful”… is the word used most often to describe the Riverview Campus! "Exciting" is the word used to describe our camp activity choices which include Riding (both English and Western), swimming (heated pool), tennis, ropes course, climbing tower, canoeing, golf, archery, riflery, gymnastics, cheerleading, dance, flag-twirling, sports, outdoor-living skills class and more. You will enjoy evening programs, optional trips, Counselor-In-Training Program opportunities and most of all lifelong friendships! Deer Hollow, The Reservation, Dining Hall, Waterfront, Pool and more! We are surrounded by privately owned beautiful woodlands with amazing trails throughout. As a Christian camp for girls, Counselors and staff will begin our day with an enthusiastic “good morning and welcome to the day” talk to our campers in a beautiful wooded setting that we call Morning Watch. Vesper campfires are a nightly tradition on our campus that includes a time of singing together and talks to inspire all. Sundays provide the opportunity for worship services for all in our open-air gymnasium…but only after we have served you home-made doughnuts at a pajama breakfast! We also provide transportation to Mass in nearby Fort Payne , AL for staff and campers on Sundays that are not opening days. Learn more about our awesome leaders! Susan, I just want to drop you a quick line to tell you about our little miracle last Friday. As you may have heard, Covington had some bad flooding last week from a strong line of thunderstorms north of us that overwhelmed our river banks. Our home was flooded by 2 1/2 inches of water. Our neighborhood had never gotten flooded before, so none of us thought that this would happen. Late in the evening on Friday, I had a gut feeling watching that water rise in the ditch and cross the road, that we were in trouble. We had 2 hours to pick up as much as we could from downstairs and put it upstairs. When we were almost done, my husband went into the garage to check if water had gotten in yet and it had not. Out of the corner of his eye he spotted Emma's camp trunk and duffle bag. He jumped over bicycles and boxes to get to them. He threw the duffle on top of my car and did some sort of superman move to lift the full (and heavy) trunk and get it over everything in it's path. He raced upstairs with the trunk. Then he went right back into the garage to check if he missed anything else and the water was already halfway filling our garage and onto the space where the trunk was sitting moments before. I know in my heart that Riverview is a place that God holds in his hand of protection and that little miracle was proof enough for me. That trunk is the tangible memory holder of all of her experiences at Riverview and the good Lord made sure that it was safe. I haven't cried over anything that we lost from water damage in the garage, it can all be replaced. But if that trunk had gotten ruined, we would have all been devastated. Sentimental value is priceless. Our house looks like swiss cheese right now and reconstruction begins on Monday. We have ample flood insurance so all will be restored. God has bestowed many blessings throughout this disaster and we are very fortunate. I hope we can visit with ya'll at some point during your visits to our area. Learn more about our longtime history! Not just a member but CERTIFIED! You know you’ve made the right decision… …When you hear your daughter say…”I’m going to Riverview!” We celebrate her choice too! It’s all a big deal…a real big deal! The 10-year blanket is Riverview’s way of honoring the heritage that has defined her impact on the Riverview Community! Friends return and parents attend if they wish…as we make a presentation at the final banquet of the 10th year! 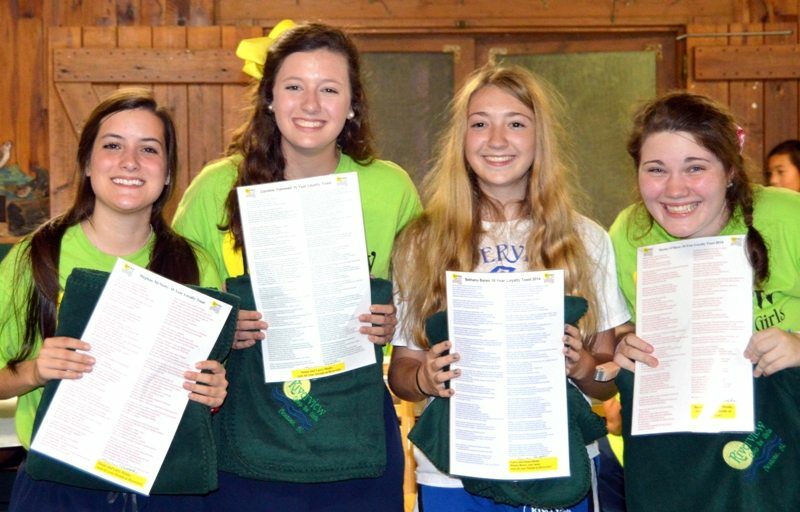 A “Personal Poem of her Camp History” is presented with funny awesome memories that are shared with the entire camp in her honor! 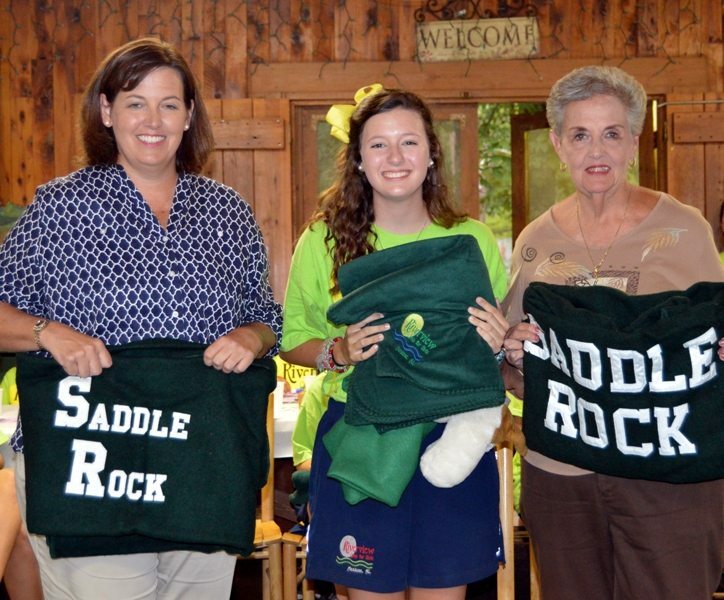 There are some camp families with 3 generations of 10 year blanket recipients, a legacy of love… just as camp is a labor of love! Over 225 toasts have been presented in the last 15 years…that is over 2,250 camping years! And some of the toasts were celebrating 20/25+ years of “coming back to give back” which would increase the years! What draw’s a person back to the same special place for years and years? The commitment of all of the staff to celebrate the “kindness and goodness that is in each child” which is evident in the relationships and camp energy that flows through each passing year! We pray every day for God’s peace to be felt on this campus…and He answers us through the lives of young girls and young women impacting each other! Thank you God for Riverview! Thank you for those who come back to give back! Riverview has over 20 activities for you to explore!